media.ccc.de - Playlist for "Hackerspace Design Patterns 2.0"
Playlist "Hackerspace Design Patterns 2.0"
The presentation of the Hackerspace Design Patterns at CCCamp 2007 / 24C3 started the international hackerspace movement! 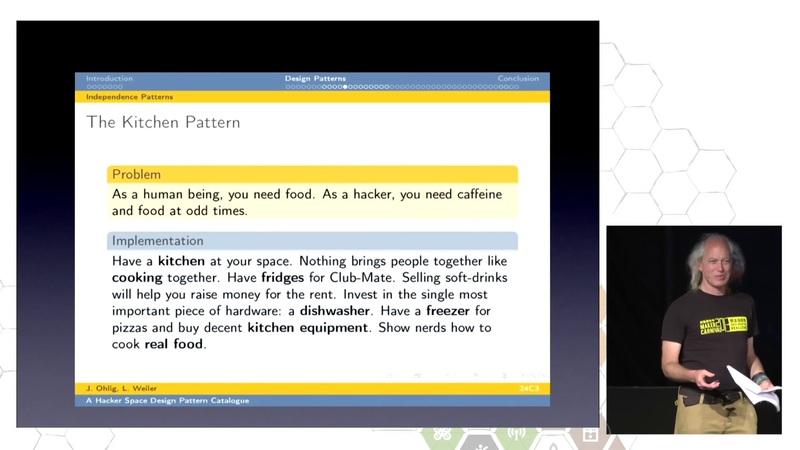 These patterns described what has worked well, and not worked well, for the 40 or so hackerspaces existing at the time. Now that over 2,000 have blossomed all over the planet, it is time to add Patterns from this collective experience.